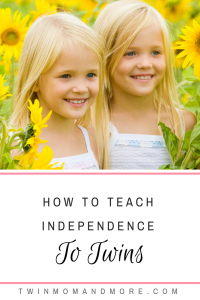 Independent playtime is important for all children, but it is especially important for twins. Our twins share a bedroom and are literally together 24/7, aside from when they are in independent playtime. It was a challenge to separate them, and we endured many days of tears and them pounding on their doors, calling for each other. It was quite heartbreaking, but I persisted because I believe that independent playtime for twins is essential. 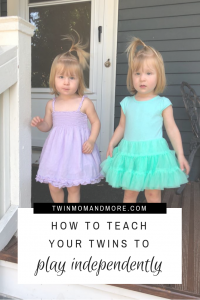 They need a chance to explore, play, and grow in their individual personality without their twin to influence them. As I mentioned above, independent playtime is important for all children, but I think that it is especially important for twins. The bond they share is absolutely incredible and it’s an amazing blessing to watch it grow and develop. However, let’s face it… one day, they’re going to be separated! Whether it’s for elementary school, high school, or college, one day they will be apart. While it’s natural that they will miss each other, I don’t want my girls to be so dependent on each other that they fall apart if they aren’t around each other. I also think it’s a great way to nurture their individuality. I’ve noticed that my twins like to mimic one another. Josie will be reading a book and Margo will see her, and decide she wants to read that book for herself. Margo will be playing Paw Patrol, and Josie will come along and need to play with the pups at that exact same moment. They influence each other, for better or for worse. I want them to have a chance to not be influenced by each other for a few minutes a day; I want them to learn what their own interests are and develop their own preferences for play. Twins are together all the time, in many cases, even sharing a bedroom. They need a break from each other. I often need a break from people that I spend a lot of time around. Read –> 8 Ways Toddler Twins Are Harder Than Newborn Twins. This is our current setup. One twin goes into their bedroom, and the other twin goes in their brother, Theo’s room. Theo goes downstairs in our playroom, but if we didn’t have a playroom I would put him in our guest bedroom. You could even child-proof your master bedroom and do independent playtime in there. A bin of toys could be kept in your closet, or brought in from another room. Depending on the age of your twins, pack and plays are great places to have independent play time. This worked for us in the beginning. Our playroom is on a different floor than our bedrooms, and since they were crying and calling for each other, I tried separating them by floors. Not being able to hear each other cry was extremely beneficial. However, I ultimately wanted them both in the bedrooms because our playroom is off of the kitchen with no door, and I know it’s hard for them to see me walking around and not be able to come to me. Read –> 9 Things All Twin Moms Know To Be True. They no longer cry, but I still use this sound machine (with a different sound than they get for sleeping!). The bedrooms they are in are right next to each other, and I don’t want them to hear the other one playing and become sad that they aren’t together. 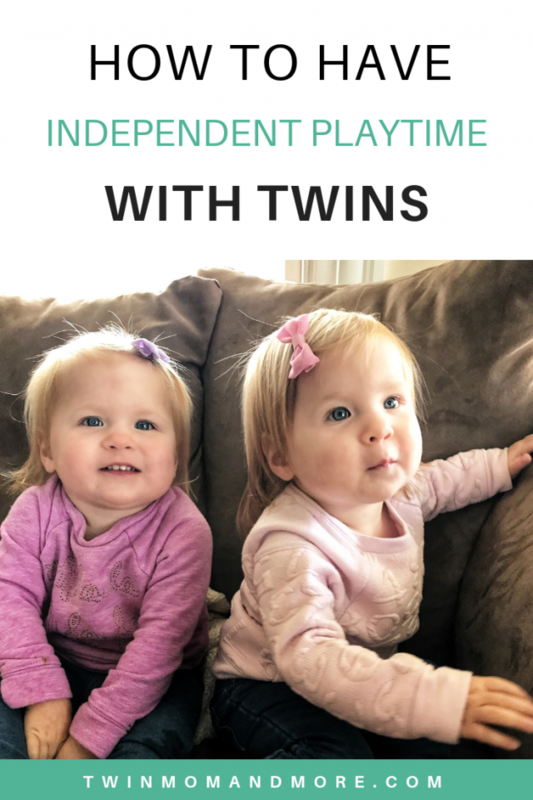 Read the full details of how we started independent playtime with our twins <– here. I’ve noticed with my girls that when independent playtime is over they are so anxious to see each other that it’s like pulling teeth to get them to clean up. I’ve switched things up a little, and now I let them reunite and then we clean up both rooms together. They are much happier to clean up once they have given each other hugs. When I put my twins into independent playtime, I keep my voice bright and cheery. I say things such as “you’re going to have so much fun playing by yourself! Josie will be in the other room playing and having lot’s of fun and you can see her when your time is up!” I also remind them of what will happen after independent playtime. It’s a great idea to keep a timer in each room so they know that mommy will come back when the timer goes off. I suppose this isn’t specific to twins, but I give them lots of praise when independent playtime is over. Our ‘reward’ is their television time for the day. My kids all love watching t.v., and it isn’t something we do a ton; for us, it is the perfect reward for independent playtime. If it’s a snowy day and we don’t have plans, I’ll sometimes let them watch a longer movie; if we have plans or I want them to play outside, it will be a quick ten minutes of some nursery rhymes (our favorite nursery rhyme show is Little Baby Bums). That’s it! I highly suggest you implement independent playtime with your twins. It is one of the best things we ever did! P.S. 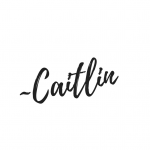 Don’t forget to follow me on Instagram to keep up with our adventures!